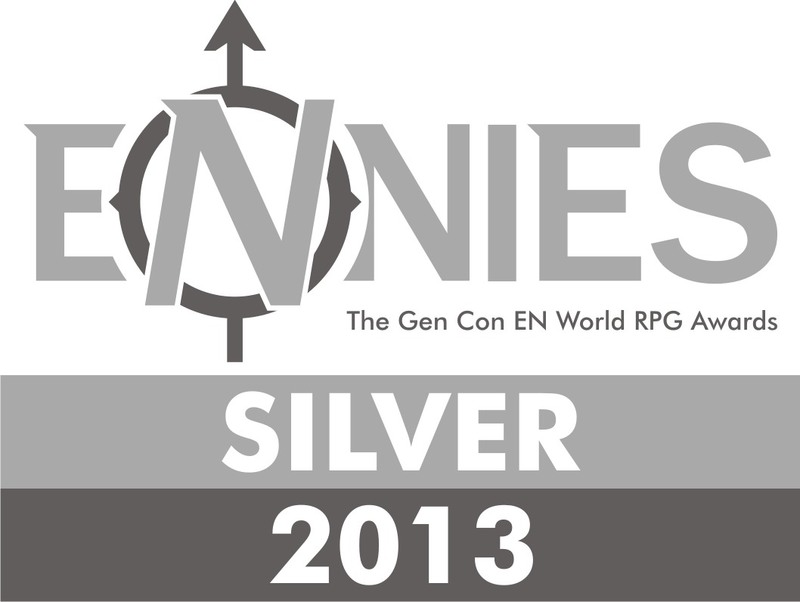 Winner of the 2013 ENnie Silver Award for Best Electronic Book! Hobomancer is a role-playing game, designed for use with the QAGS Second Edition rules, which combines American history, folklore, and pulp fiction into a thick, rich Mulligan stew of adventure. This jam-packed 150+ page PDF includes: an overview of the songlines, the source of the hobomancers’ magic; details on the magical tradition of hobomancy; a description of hobo magic, including notable otherworldly entities the PCs can encounter; information about hobo life; a general overview of life in the 1930s; game-specific rules and character creation ideas; an explanation of hobo magic and Hobo Powers; GMing tips; game information on over 20 monsters, including the dream-snatcher, the gumberoo, and the traveling salesdemon; a full adventure, “Hobo of Hamlin”; and appendices that include a Hobomancer Timeline, Hobo Signs, Hobo Lingo, the Random Hobo Name Generator (which offers over ten million possible hobo names), ritual magic rules, useful tables, sample characters, and more.